Ars Biologica: 2 exclusive interviews coming soon! First up will be the interview with Ryan Romie Littrell, founder of the SoCal DIYBio, was a visiting fellow in Singapore hosted by Professor Denisa Kera at the National University of Singapore. During his stay, Romie conducted a two part workshop at the Singapore hackerspace teaching attendees the tools and practices of synthetic biology. Romie is part of a growing group of scientists who are fostering the interest in synthetic biology among the members of public, and democratizing the world of biotechnology. Stay tuned for the interview with Romie for his thoughts on the future of DIYBio and the citizen scientist. 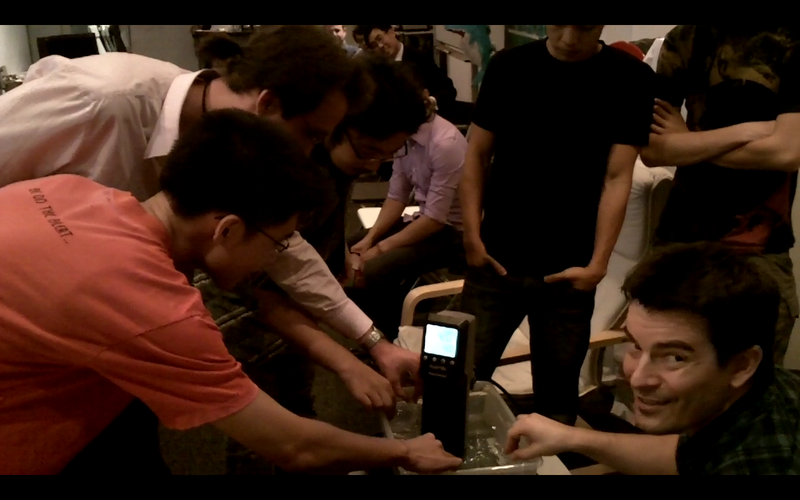 Romie guiding participants in the workshop, at one point using a hot bath to encourage their bacteria to take up new genetic code. Shortly after that, and staying with the theme of democratization of technology, is an interview with Thomas Gokey (visual artist) and Meg Backus (public librarian) who are two innovative thinkers who share their ideas on 3D printing (including bio), fab labs, public libraries, and how these will come together to revolutionize our future. They taught a class titled, "Innovation in Public Libraries" at Syracuse University which has an inspiring mission to re-invent libraries as not only an institution for the storage and retrieval of documents, but as an institution that can be hacked and shaped to meet the needs of today and the future. Stay tuned for these interesting interviews!